While digging out the 3 inches of slurpee on my driveway this morning, from our 6 – 12 inch storm that only dropped a couple inches of sleet, a friend sent me Snowfighting on the Alaska Railroad. I think my favorite pictures is that of the Russell Car (shown right). Now this is a machine that is wonderfully designed for a single purpose. 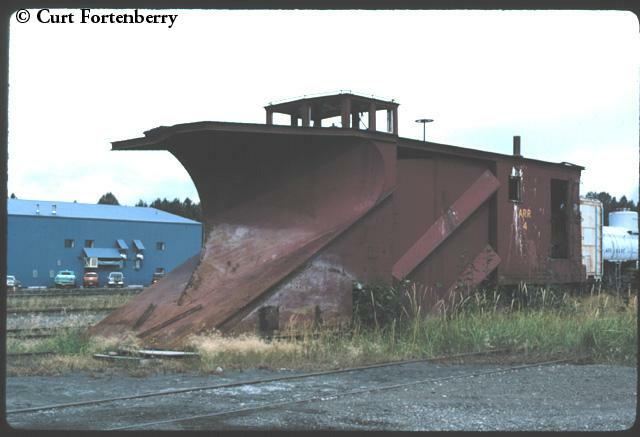 Unfortunately it was designed for a purpose that didn’t actually work in Alaska, because the tracks are too curved. The Russel Cars all derailed very easily.